August 29 is the 241st day of the year(242nd in leap years) in the Gregorian calendar.There are 124 days remaining until the end of the year. 1885 – Gottlieb Daimler patents the world's first internal combustion motorcycle, the Reitwagen . 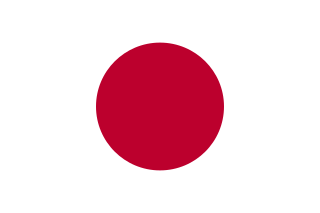 Wadōkaichin (和同開珎), also romanized as Wadō-kaichin or called Wadō-kaihō, is the oldest official Japanese coinage, having been minted starting on 29 August 708 on order of Empress Genmei. Year 979 (CMLXXIX) was a common year starting on Wednesday of the Julian calendar. Otto of Vermandois, Count of Vermandois, was the son of Herbert III, Count of Vermandois and Ermengarde of Bar-sur-Seine. He succeeded his brother, Adalbert II as count of Vermandois in 1015. Otto donated property to Notre-Dame de Homblières by charter. Year 886 (DCCCLXXXVI) was a common year starting on Saturday of the Julian calendar. Basil I, called the Macedonian was a Byzantine Emperor who reigned from 867 to 886. Born a simple peasant in the theme of Macedonia, he rose in the Imperial court. He entered into the service of Theophilitzes, a relative of Emperor Michael III, and was given a fortune by the wealthy Danielis. He gained the favour of Michael III, whose mistress he married on the emperor's orders, and was proclaimed co-emperor in 866. He ordered the assassination of Michael the next year. Despite his humble origins, he showed great ability in running the affairs of state. He was the founder of the Macedonian dynasty. He was succeeded upon his death by his son Leo VI. 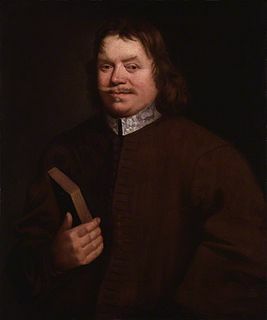 John Bunyan was an English writer and Puritan preacher best remembered as the author of the Christian allegory The Pilgrim's Progress. In addition to The Pilgrim's Progress, Bunyan wrote nearly sixty titles, many of them expanded sermons. According to a historical catalogue inserted in the Drogo Sacramentary, Adelphe is the 10th bishop of Metz. Most agree he lived in the fifth century. Louis the Pious has moved his remains in the Abbey of Neuwiller-lès-Saverne, in 826. He was canonized on 3 December 1049 by Pope Leo IX. He is commemorated in the Roman Martyrology on Aug. 29. Eadwold of Cerne was a 9th-century hermit, Anglian Prince and patron saint of Cerne, Dorset, who lived as a hermit on a hill about four miles from Cerne. His feast day is 29 August. Marth Euphrasia Eluvathingal also called Saint Euphrasia Eluvathingal baptised as Rosa Eluvathingal was an Indian Carmelite nun of the Syro-Malabar Church which is an Eastern Catholic Church and a part of the Saint Thomas Christian community in Kerala. She was canonised as a Saint by Pope Francis on 23 November 2014 in Vatican City. The beheading of St.John the Baptist is celebrated on August 29.So the feast of St.Euphrasia is postponed to August 30. July 20 is the 201st day of the year in the Gregorian calendar. There are 164 days remaining until the end of the year. November 29 is the 333rd day of the year in the Gregorian calendar. There are 32 days remaining until the end of the year. Wikimedia Commons has media related to August 29 .